A wholesome dairy farm stands or falls with healthy animals. Cows that are taken care of properly live longer, require less medication and produce more sustainably. The improvement of animal health and welfare is an important and ongoing aspect of our sustainability program. Prolonging the average lifespan of a cow by 6 months compared to the year 2011 (5 years, 8 months and 11 days). Responsible use of antibiotics: maintaining the current standard of low usage and applying antibiotics only if there’s no other option. Our objectives have been translated into reality at the farm. Through our quality and sustainability program Foqus Planet, basic requirements are being set and dairy farmers are encouraged to keep improving the animal health and welfare at their farms. These basic requirements include the well-being and housing of the cow, and the responsible use of veterinary medicines. Furthermore, dairy farmers are encouraged to improve animal healthcare with regards to topics such as udder health, calf breeding and prolonging lifespan. Healthy cows give the best milk. That’s why the dairy farmer ensures that his or her cows are well taken care of. Every day, they register and monitor the health and welfare of their cows. Every dairy farmer works closely with an Assured Vet. Preventative use of antibiotics is prohibited, so cows are only treated with this medication whilst they’re ill. 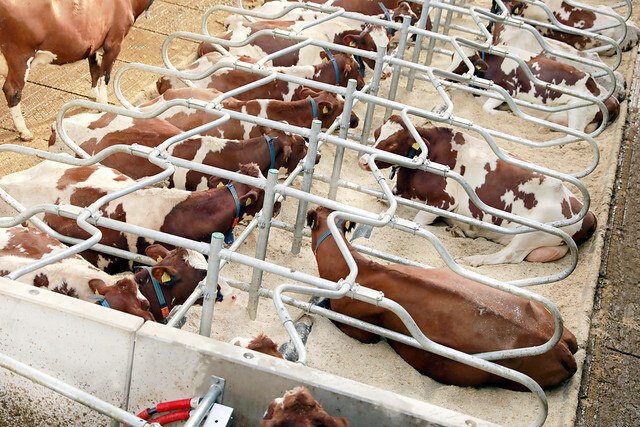 The cows are housed at temperatures between -5°C and 18°C. If the temperature rises above 21°C, a cow has to make more effort to maintain a cool body temperature. Heat stress can arise at very high temperatures. The dairy farmer helps the cow by ensuring that the living environment is as optimal as possible. For example, that the barn suits the needs of the cow or by letting the cows graze during nighttime.